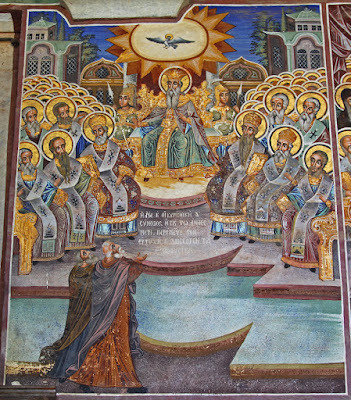 Saint Anastasios became Bishop of Thessaloniki in 431. At the time he served as the vicar of the Roman Papacy. Popes Sixtus and Leo wrote to him. In 451 the Fourth Ecumenical Synod took place in Chalcedon, but he did not seem to attend and was instead represented by Quintillus of Heraclea, who signed the Acts of the First and Second Session on October 8th and 10 of 451. It seems that he reposed around the end of September in 451, because at the Third Session on October 13, 451 a presbyter named Andrew represented the Bishop of Thessaloniki who is now Euxitheos. 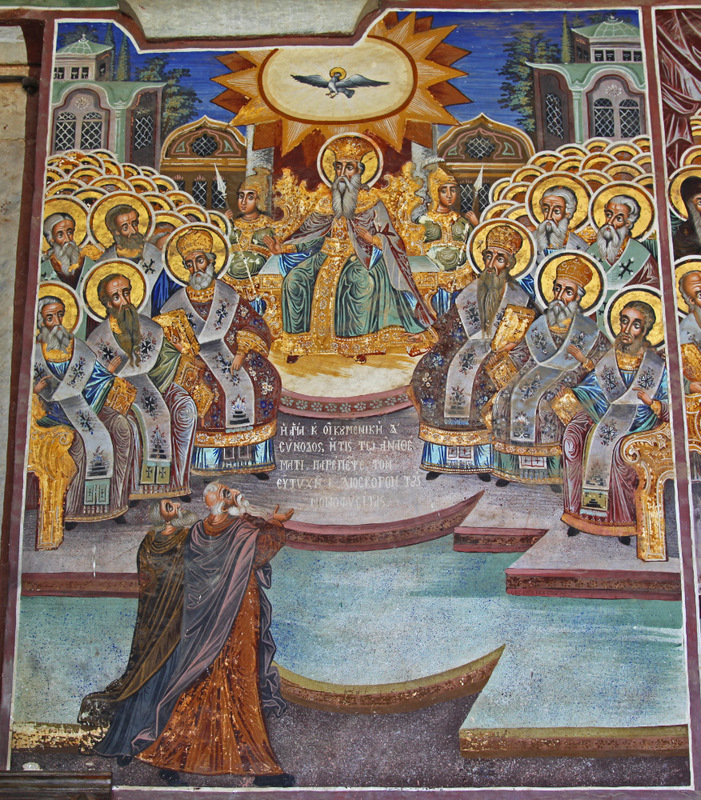 Euxitheos, the successor of Anastasios, seems not have attended the Fourth Ecumenical Synod either. On September 1, 457 Pope Leo the Great wrote to Euxitheos and four other Bishops (Letter 150) to resist the criminal behavior of the Eutychians with holy zeal, which would please the emperor. Bishop Euxitheos reposed in 458, and he was succeeded by Andrew, who likely was the representative of Euxitheos at the Fourth Ecumenical Synod.